A US short-seller, Mr Andrew Left (“Mr Left”) of Citron Research, was held liable by the Market Misconduct Tribunal (“MMT”) in August 2016 for publishing false or misleading market information about Evergrande Real Estate Group Limited (“Evergrande”) (Stock Code: 3333). In February 2019, the Court of Appeal (the “CA”) dismissed Mr Left’s appeal against the decision of the MMT in the case of Andrew Edward Left v Securities and Futures Commission and another  HKCA 224. On 21 June 2012, Mr Left published a research report on Evergrande (the “Citron Report”) stating that Evergrande was essentially “an insolvent company” which had consistently “presented fraudulent information to the investing public”, in that (1) Evergrande had “generated cumulative operating cash flow before Capex of negative RMB28 billion since 2006” and (2) the RMB 35 billion of its equity as at 31 December 2011 was either overstating assets or understating liabilities and it was in fact of negative RMB 36 billion. It also alleged that Evergrande used “off balance sheet” vehicles to underreport debt. Therefore it was alleged that Evergrande “misled investors” and represents “a good short opportunity”. According to Mr Left, for the purpose of the Citron Report, he went through a verification exercise, eliminating “all information that could not be verified” and the information was all public information from the internet and from Evergrande’s company filings. He had not inquired with Evergrande about the allegations and there was no evidence that he had sought expert advice on regulatory restrictions to which Evergrande would have been subject. On the same day after the publication of the Citron Report, Evergrande’s share price dropped sharply by 19.6% compared to the previous day’s close. It transpired that on 11 April 2012, Mr Left opened a securities account to trade Hong Kong stocks and by short-selling Evergrande’s shares since 6 June 2012, Mr Left earned a net profit of HK$1,596,240. The person having disseminated the information must know, or be reckless or negligent, as to whether the information is false or misleading as to a material fact. In August 2016, the MMT held Mr Left liable under section 277(1) of the SFO for disseminating false or misleading information inducing transaction, and therefore made against him (1) a “cold shoulder” order, (2) a “cease and desist” order and (3) an order to disgorge profit. Firstly, Mr Left argued that the MMT exceeded its jurisdiction. The original statement in the SFC’s notice to institute the proceedings was simply on the basis that the Citron Report was false and misleading but SFC later clarified that its case was limited to the assertion that Mr Left created false or misleading information out of public information. The original statement was not amended to reflect clarification, and the MMT proceeded not on the basis of the original statement but on the clarified position of the SFC. The CA rejected Mr Left’s challenge against the MMT’s jurisdiction since Mr Left did not raise the need for amendment of the original statement before the MMT. It is not proper for him to raise this point on appeal. Secondly, Mr Left argued that by referring to the subjective test of recklessness in Sin Kam Wah v HKSAR(2005) 8 HKCFAR 192 in criminal law, the MMT erred in failing to apply the correct test for recklessness to the civil case of section 277(1) of the SFO. To reflect the above Sin Kam Wah test, the MMT formulated the following 3-question test. It found that each question fell to be answered in affirmative, and thus held Mr Left reckless. When Mr Left came to publish the Citron Report, was he aware of the risk that the information in it which is the subject of these proceedings was false and/or misleading? Was Mr Left further aware that in the circumstances the risk was of such substance that it was unreasonable to ignore it? Did Mr Left nevertheless, although aware of (1) and (2) above, go ahead and publish the Citron Report? The CA acknowledged that the Sin Kam Wah test of recklessness was devised for a culpable state of mind in criminal law, and section 277(1) of the SFO was not a criminal offence. However, the CA considered that the equivalent offences, including section 298 of the SFO (disclosure of false or misleading information inducing transactions), also provide for recklessness as a culpable state of mind. It is entirely appropriate that the same test should apply for recklessness in respect of the same prohibited act, whether this is a market misconduct in section 277(1) of the SFO or a criminal offence in section 298 of the SFO. Mr Left argued that in applying the Sin Kam Wah test to the situation of making market commentary, the test would boil down to whether it is reasonable to make the commentary, which would elide the test of recklessness with the test of negligence. The CA firmly rejected any suggestion of eliding of the test of recklessness with the test of negligence, because the use of the word “unreasonable” in the second questions raised by the MMT is not to allow an element of objectivity to creep back into the test of recklessness. Mr Left further argued that insofar as the MMT purported to have adapted the Sin Kam Wah test to include an element of indifference to the truth, it appeared to have unprecedentedly modified the element of awareness of circumstances which would render it objectively unreasonable to take risk, into an element of awareness of unreasonableness to take risk. In this relation, the CA found that the contention of modification of the element of awareness of circumstances was not borne out by a proper reading of the MMT’s report. Further, if a person makes a statement not caring whether it is true and shows an indifference to the truth, he is simply closing his mind to the risk whether the information conveyed is false or misleading. The MMT was correct to say that the 3-question test “incorporates” the common law concept of indifference to the truth. Thirdly, Mr Left argued that the MMT erred in law by applying the wrong standard of care in coming to the conclusion that Mr Left was negligent, and that a lower standard of care for the protection of the fundamental right of freedom of speech of an unlicensed market commentator should be the correct test. The CA rejected Mr Left’s argument, and concurred with the MMT that the applicable standard of care in the present case should be one that was comparable to a market analyst, namely “whether Mr Left exercised the level of care to avoid the inclusion of false or misleading information as to material facts that is realistically required of a reasonably prudent person carrying out the function of a market commentator and/or analyst”. The scope and extent of a duty of care are contextually based. The right to freedom of expression is not absolute and can be subject to proportionate restriction. Section 277(1) of the SFO creates a duty owed to the market by all persons, not only listed companies, insiders or those who have assumed responsibility to the market, who choose to disseminate information that is likely to affect the market, to ensure that such information is not materially false or misleading. The legitimate aim of such a provision in limiting the freedom of expression is to protect the public at large from the potentially very damaging effect of false or misleading information and to protect economic order. Reading section 277(1) of the SFO under the principle of purposive construction, the obvious objective aim and context is to “maintain the integrity of the markets and to protect the public at large from very damaging effects of false or misleading information”. 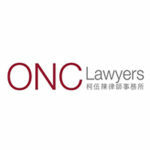 As such, one would be held liable for negligence in disseminating information that is proved to be false or misleading as to a material fact of significance and likely to induce others to deal in the Hong Kong market. The CA dismissed Mr Left’s appeal against the MMT’s decision. This case is significant in confirming that overseas commentators could also be regulated by the SFO in Hong Kong. It also clarifies the subjective test of recklessness and the standard of duty of care for negligence applicable for market misconduct under the SFO. This is a reminder to all commentators, whether in Hong Kong or overseas, that they should always take reasonable steps to ensure that the market information disseminated by them is true and not misleading, especially when nowadays information could spread rapidly online.